In the Hatikva neighborhood of South Tel Aviv, the streets and parks carry names that pay homage to seminal figures in Israel's history. Menachem Begin Park is named after the Israeli Prime Minister who made a historic peace deal with Egypt. Haim Bar Lev Road is named after a celebrated Israeli military leader who became a minister in several governments. And Al Kuwaiti Brothers Street is named for two Jewish brothers of Arab origin, Daoud and Saleh al-Kuwaiti -- prominent musicians who immigrated from Iraq to Israel in 1951 but fell into obscurity in their new homeland. 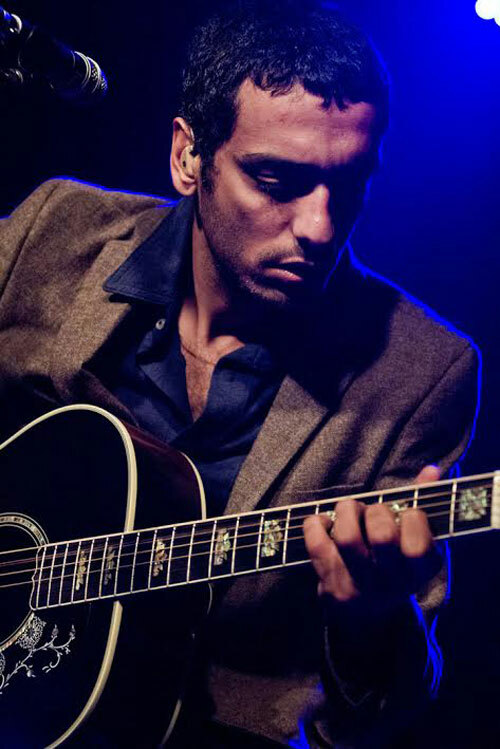 The Israeli singer-songwriter-guitarist Dudu Tassa, Daoud al-Kuwaiti's grandson, attended the 2009 ceremony that designated al-Kuwaiti Brothers Street and revitalized the their name. 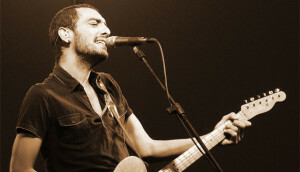 Then Tassa did something more important: He recorded Dudu Tassa and the Kuwaitis, a 2011 album that modernized the brothers' songs and became a major hit in Israel. The success of the album, which features Tassa singing many songs in Arabic instead of his usual Hebrew, has prompted Tassa to go on a North American tour that stops at Yoshi's San Francisco on Thursday, March 20, 2014. The concert is part of the 29th annual Jewish Music Festival. "I'm really surprised by the success of the album, because I did it for the fun, for the family, for the roots, for my mother, for my grandfather, and for that side of the family," Tassa says in a phone interview from Vancouver, where the tour began. The story of the album and the al-Kuwaiti brothers has a series of twists that are bittersweet. In Kuwait (where they were born), Iraq and all across the Arab world in the 1930s and '40s, Daoud and Saleh al-Kuwaiti were superstars. Daoud played oud and Saleh violin, and they composed songs that were widely aired on the radio, which kept the brothers in demand at concert halls in Baghdad and beyond. 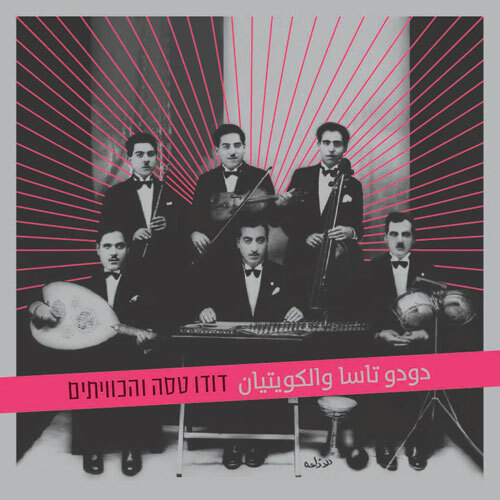 They immigrated to Israel with other Iraqi Jews as part of a mass exodus of Jews from Arab countries after Israel's 1948 creation, but in Israel, the brothers' Arabic-language songs received little attention, while in Iraq and other Arab countries, their songs were still widely played, but attributed to other musicians. To make money in Israel, the brothers sold groceries, and only played at bar mitzvahs and other small affairs. Embittered, they forbade their children from becoming musicians. Daoud died in 1976, Saleh ten years later. Three months after Daoud's death, Daoud's daughter Carmela gave birth to Dudu, who is named after Daoud. Carmela, who always wanted to be a singer and an oudist, played the al-Kuwaiti brothers' songs for Dudu when he was a child. After he established himself as one of Israel's top rock singers and songwriters -- in 2009, he composed the theme music for Kokhav Nolad (A Star Is Born), the Israeli version of American Idol -- Tassa was inspired to tweak the music of his grandfather and great uncle. On Dudu Tassa and the Kuwaitis, Carmela sings on one track, and she has performed on stage with her son. Tassa and his manager, Or Davidson, say Israeli society wasn't ready for the al-Kuwaiti brothers' music in the 1950s. Now, with the music's edgier pace -- fueled by a mix of electric guitar, traditional flute, drums, and Arab music scales -- and blend of Hebrew and Arabic lyrics, young Israelis have gravitated to the songs. Not every track on Dudu Tassa and the Kuwaitis is a dance piece. But each song instills an intensity in the audience. Davidson calls Dudu's Kuwaiti songs "Arab rock." The March 20 concert will feature violinist and oudist Yair Dalal, who plays on the album (and who's descended from Iraqi Jews), and a back-up band that includes a guitarist, cellist, drummer, qanun player, and a musician using a computer. "One of the things that I learned," Tassa says in Hebrew, which Davidson translated into English, "is that the new generation of Israelis was thirsty to hear what I heard in my mother's home, but in a modern way, the way I did it." "In Israel in those times," Davidson says of the 1950s, "to hear Iraq music or Arabic music was not really cool. This is one reason that the Kuwaiti brothers didn't succeed in Israel. This project," he adds, "offers closure for Carmela. It's really nice." In the United States, the Israeli narrative is usually reduced to two peoples: Jewish Israelis and Arab Palestinians. But there are Israelis who are both Jewish and of Arab descent. Out of Israel's population of six million Jews, at least two million have roots in Arab countries. Dudu Tassa is one of them, saying, "I consider myself Israeli Jewish, and I have Arab roots. I can't ignore my roots. I have roots from Arabic culture." And Tassa's music is bridging cultures at a time when there is mixed reaction to the re-emergence of the Kuwaiti brothers. After the 2009 ceremony that dedicated a street to the brothers, some right-wing Israelis objected to the introduction of an Arabic street name. Tassa, who's 37, is focusing on the positive outcomes of his album and the street ceremony. "I'm very proud of the opening of the street in Tel Aviv," he says. "This is proof that music can change things in Israel. Music can change a way of thinking." Dudu Tassa performs Thursday, March 20, 8pm at Yoshi's San Francisco. For tickets and more information, visit yoshis.com.